The Mobile+AI Lab community is now 392 people strong! We are also getting a lot of great bug reports. Thank you! 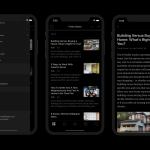 Our focus over the past 10 days was to address those bugs and polish the new experience (including scrolling, navigation, views, mark-as-read options, and night mode) so that we have a solid foundation to invite more people to the Lab and explore new ideas. Question 1: We did some night mode color tuning. Better? If not, can you please let us know 1/ if there is a specific part of the theme we need to refine, and 2/ what is your luminosity level? Question 2: Are there other bugs you would like us to fix? 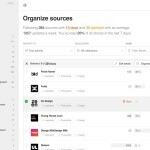 Please post them in the “bugs” channel in Slack. Question 3: Is there a missing feature which is not currently in the Trello roadmap that is preventing you from adopting the new app? Please post it in the “general” channel. 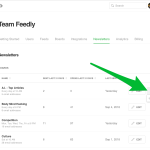 We love building the new Feedly in the open and look forward to the next 12 weeks! If you aren’t yet part of the Lab and you would like to participate, you can join here.